There is nothing like a warm soup to get comfortable in winter. 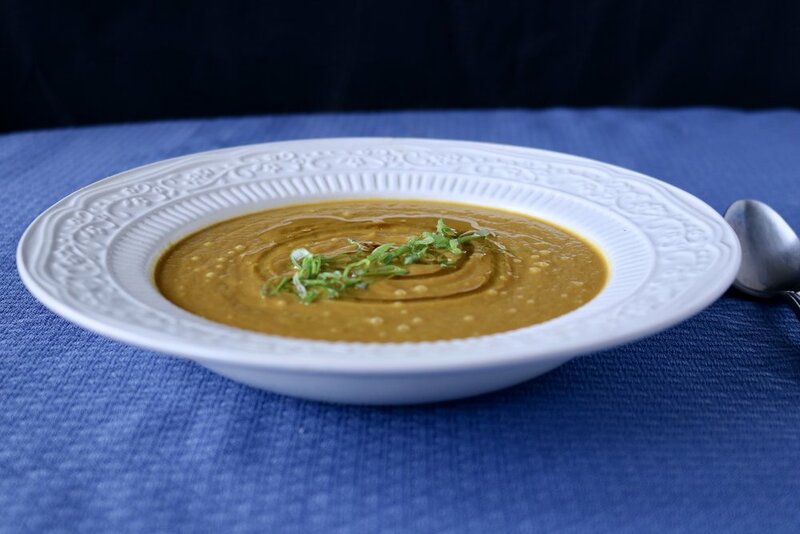 Here is great recipe with butternut squash to prepare a tasty soup. Peel the squash and slice it into one inch thick pieces the short way across. Place the slices flat on top of a sheet pan. Add the oil and the spices. Bake it for 45 minutes or until it becomes tender. Place the squash in a pot, cover it with vegetable stock and cook on medium heat until the squash is super tender. Blend the soup with a stick blender or a normal blender to make the soup really smooth. Plate the soup and finish it with some olive oil. Note: you can add some goat cheese, green onion, or toasted squash seeds.